‘Tis the season for gift exchanges. I have already participated in one gift exchange, I’ve got another tonight and another tomorrow night. White elephant gift exchanges are fun but no one ever really ends up with something they want. More intentional gift exchanges can be more successful unless someone ends up with a homemade oven mitt. Here are some nerdy gift exchange ideas that won’t break the bank. 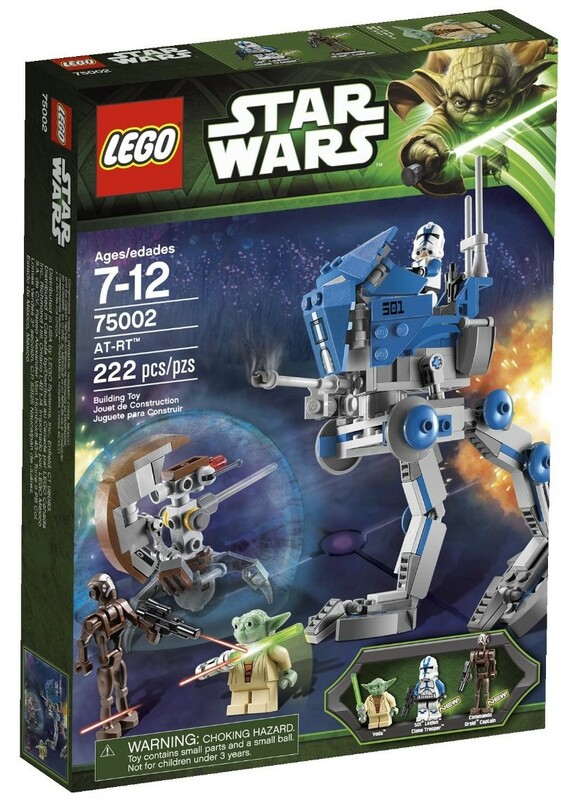 Lego Star Wars AT-RT. A lot of the Lego Star Wars sets are very expensive because they’re totally awesome. But this set comes in at under $25 and still has over 200 pieces. I’d still rather have the Death Star. TARDIS Beach Towel. Nerds generally do their best to avoid the sunlight. It’s hard to play video games outside and the sun quickly turns pasty skin Mon Calamari-red. 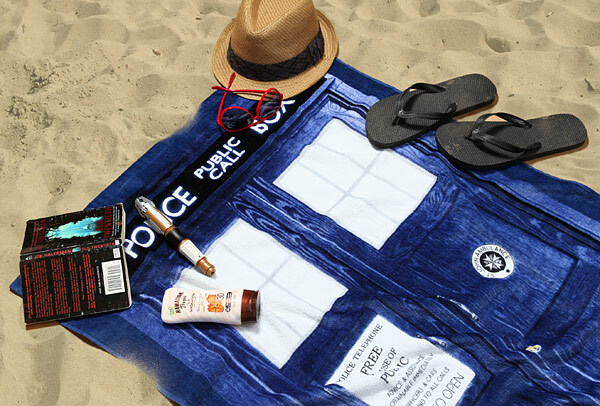 But if you’re forced to go outside and spend some time at the beach, you might as well do it with a TARDIS beach towel. You may not get to travel through space and time but the sun does everyone good. Spider-Man Throw. Have you ever tried using your hands while wearing a blanket? If you have, you’ve probably spilled piping hot coffee on your lap or gotten yourself so hopelessly tangled that you needed the Jaws of Life to extricate yourself. Thankfully there’s a blanket with sleeves. 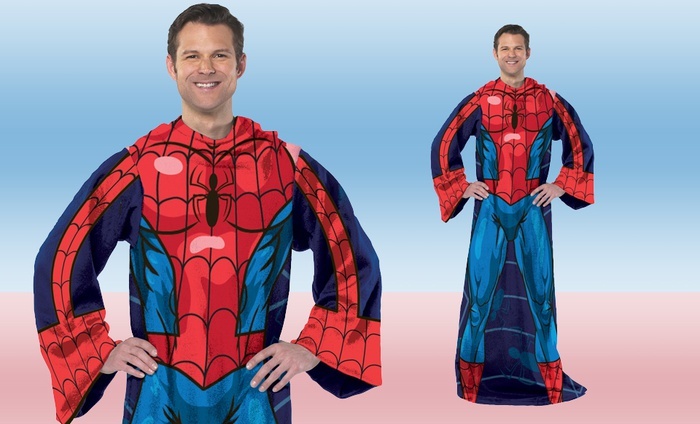 And not only is there a blanket with sleeves, but there’s a blanket with sleeves that makes you look like Spider-Man. It’s a good thing it has sleeves; how else would Spider-Man stay warm and use his web shooters? 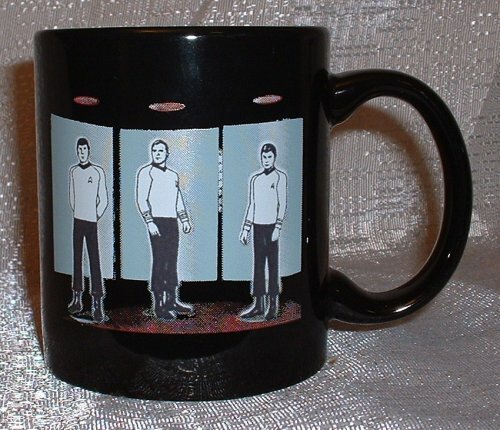 Star Trek Disappearing Mug. I drink coffee every morning; in my mind it is the nectar of the gods. I have a collection of Starbucks mugs from different places I’ve gone. I would like to have a mug from someplace where no one has gone before. If you’ve got a gift exchange coming up this weekend one of these items could make someone happy. Especially if you’re exchanging gifts with some fellow nerds. If you find yourself at a party with non-nerds, though, you might want to go with a Starbucks gift card or a bottle of wine. 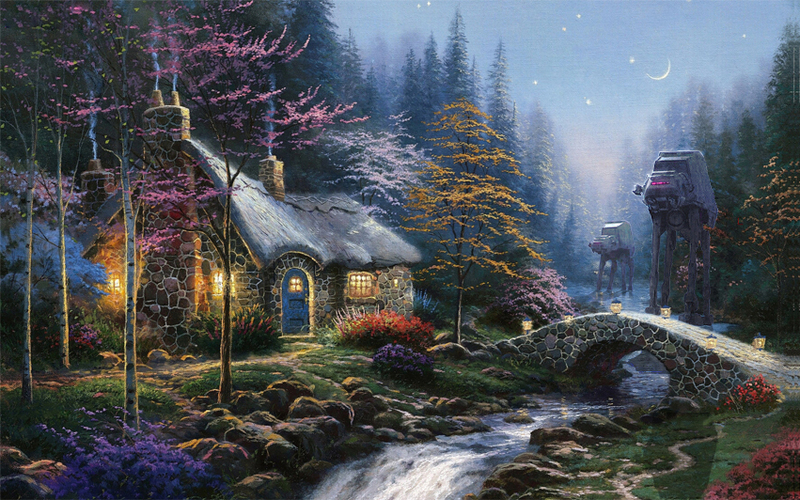 If you find yourself at a Christian Christmas party, though, you may want to ditch the wine and go with a Thomas Kincade calendar. Especially if it has an AT-AT in it. What nerdy gift would you bring to an exchange?